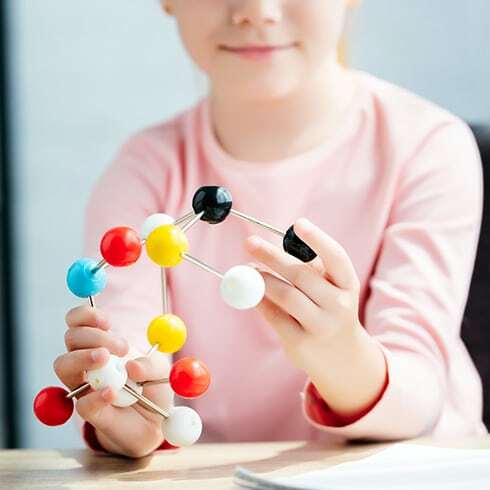 Science is one of the core academic subjects, and at Holland Park we offer specialist, private Science tuition at any level, whether that is helping with early years learning or university level work. As such, we offer Science up to KS3 plus Biology, Chemistry and Physics as separate subjects at all levels should there be a need for specific sessions. We can also provide tutoring at a higher level in more specialised subjects such as Biochemistry, Environmental Studies and Medicine, to name a few. Science is not only compulsory up to GCSE but it is also used a great deal in entrance examinations, both in UK wide exams such as the 11+ and school specific entrance assessments. Holland Park has fantastic tutors who can support students of all ages with their Science learning. We have successfully prepared hundreds of students for their exams whilst also offering more general support in this essential subject. Our tutors always aim to inspire their students, working not only to strengthen them academically but to develop their thinking and engagement with the fascinating, broad and incredibly pertinent subjects that are covered by Science, looking to modern advancements as stimulus and subjects for discussion.